Davis Day Ceremony, Stellarton 2012. Photo courtesy of Adam MacInnis, New Glasgow News. 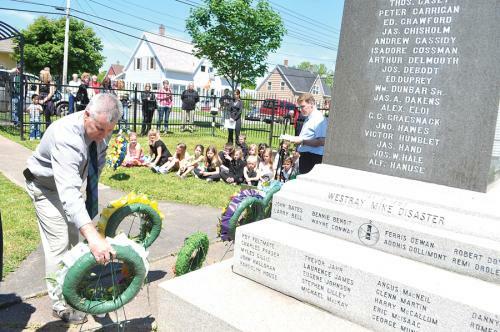 Every June 11th those who live in Nova Scotia’s former coal company towns gather to remember miners who died in major accidents in the mines. In recent years, the ceremony has become an opportunity to reflect more broadly on our coal mining heritage, the hardships and sacrifice, the bravery and achievements of Nova Scotia’s coal miners. We remember all of this on June 11th by focusing on one of the darkest days in Nova Scotia coal mining history. On that day in 1925, striking coal miners in Cape Breton, pushed to desperation because the coal company had cut off their access to water and electricity, after stopping their primary access to food from company stores, marched to the company’s power facilities outside New Waterford, in an attempt to restore power and water. Estimates number the crowd of marchers anywhere from 700 to 3,000. 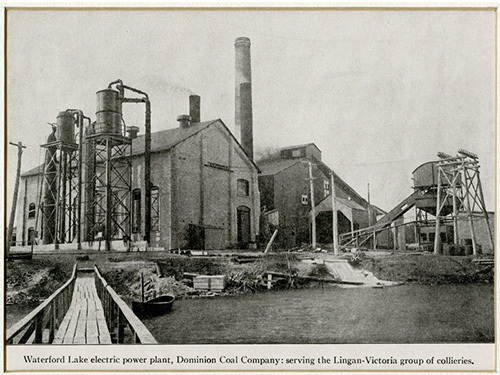 Waterford Lake electric power plant, 1916. 80-34-4214. Beaton Institute, CBU. When they reached their destination, the company police began firing at the unarmed miners, killing 37-year old William Davis, and wounding others. William Davis and his wife had 9 children and a 10th on the way. He was a skilled worker, active in his union, and had worked previously in Springhill. His older brother Thomas had died at the age of 14 in the Springhill disaster of 1891. Davis was given the largest funeral the Town of New Waterford had ever seen. His death became a symbol of the determination and resilience of the miners in their struggles. At a union convention later that year June 11th was declared Davis Day. Miners vowed they would never work on June 11th and for many years this was the case. Parades, union speeches, and memorials filled the day. District 26 of the United Mine Workers of America – the local union for Cape Breton and Pictou County coal mines – did much over the years to keep the day of remembrance going. In 2008 the Province of Nova Scotia proclaimed An Act Respecting a Memorial Day to Honour Miners (Bill No. 189: William Davis Miners’ Memorial Day Act). We continue to commemorate Davis Day so we never forget how fierce the struggle became for basic human and labour rights for Nova Scotia’s coal miners and their families in the first quarter of the 20th century. Tangible evidence of this past is slipping away, but what remains is the foundation of a coal mining culture. 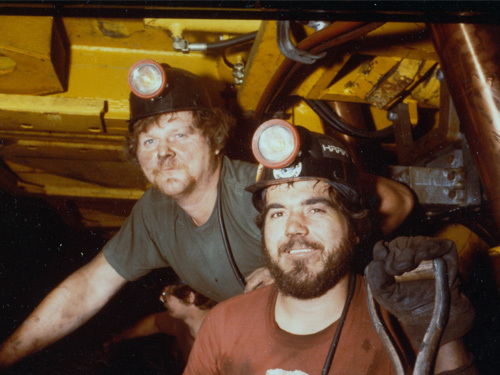 Miners were a close-knit bunch – their very lives could depend on the actions of their buddies in the mine. Sticking together in a common struggle and sharing the good times was the glue that set apart Nova Scotia’s coaltowns. That is our inheritance today and why we should pause and reflect.